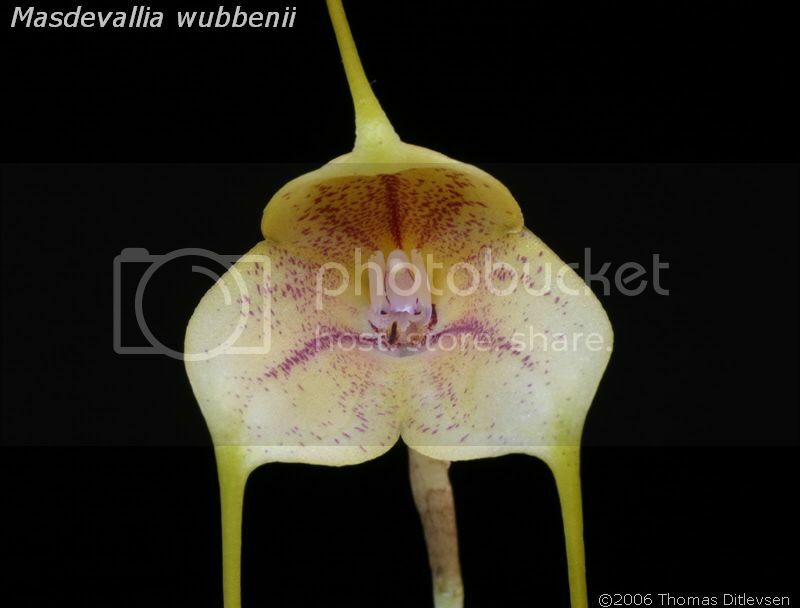 This species is found in Venezuela at altitudes of around 2000m. 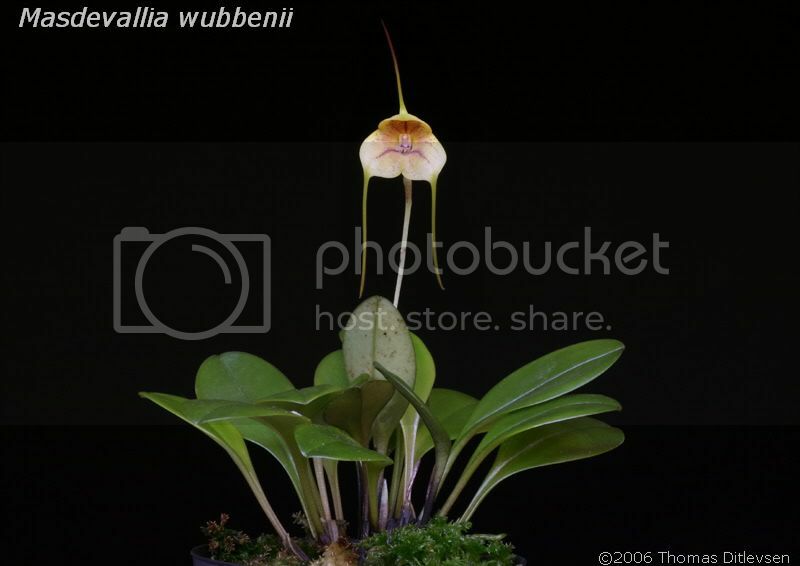 Plant size: 6- 7cm (2.5") tall. Flower size: 2,5cm (1") wide and tails 4cm (1 3/5")each. 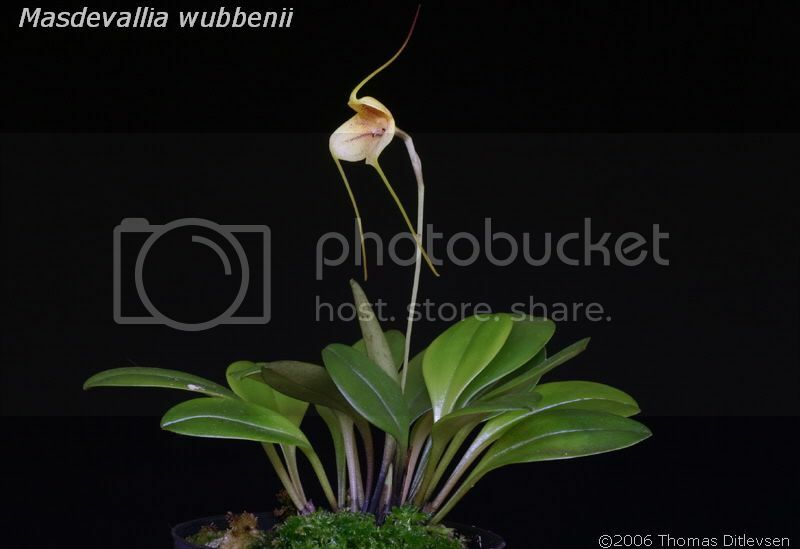 M. wubbenii is considered to be a natural hybrid between M. triangularis and M. wageneriana. It is best grown under cool - intermediate conditions.